Do a search for QNet, and you’ll see a history of negative press and fraud accusations. But QNet has weathered it all. Somehow, despite it all, they’re still in business and apparently going strong. QNet (formerly GoldQuest and QuestNet) is a multi-level marketing company founded in 1998 and based in Asia that sells mostly health and wellness goods. Throughout its history, QNet has expanded its product line and acquired several small companies. It now has a presence in roughly a dozen different countries throughout Asia and Africa, and claims to have over one million independent distributors. 1. What does QNet sell? QNet sells a variety of products including energy, weight management, nutrition, personal care, home care, and fashion accessories. 2. What are QNet’s most popular products? QNet’s energy products are their most popular. 3. 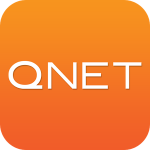 How much does it cost to join QNet? To become a QNet independent representative, you must pay an annual fee. Then, according to QNet, you’ve incorporated in their company and have a valid business that can be inherited. 4. Is QNet a scam? No. It’s true that QNet has been deemed a pyramid scheme and a fraud by many countries, and in 2016, it was denied membership in the Federation of Direct Selling Association because, according to that organization, they practice “disguised money circulation.”  But in 2017, India MLM Research deemed Qnet a legit MLM company. The company seems to have some shady business practices, but it isn’t a scam. 6. How long has QNet been in business? Since 1998. Throughout the years, its name has changed, but the basic business has remained the same. Originally called GoldQuest, then QuestNet, it became known as QNet in 2010. 8. How many QNetqnet distributors are there? They claim to have over a million. 9. What lawsuits have been filed? Qnet has been named a pyramid scheme or a fraud and banned in Sri Lanka, Iran, Sudan, Rwanda, Turkey, and Nepal. We didn’t see any lawsuits originating in the US. So should you hop on board? Either way, here’s the full review on QNet. Energy – Two lines of new-age accessories designed to enhance the energy and performance of athletes. Nutrition – A large line of products each with a specific health benefit. Personal Care – A pair of products geared towards cleansing and rejuvenating skin. Home Care – At the moment, a water purifier is the only product in this line. Luxury & Collectibles – Includes a line of watches, pendants, and other types of jewelry. Fashion Accessories – A gaudy line of jewelry. Holidays – Travel packages to a variety of locations. The biggest thing that QNet has going for it is the company’s long line of partnerships and distribution deals with high-profile organizations and major events that have helped increase QNet’s notoriety and reputation. The company has long been associated with major sporting events, giving it a vast amount of global exposure. Back when the company was in the business of selling gold coins, it was the official coin distributor for both the 2000 Olympics in Sidney and the 2002 FIFA World Cup, which was co-hosted by Japan and South Korea. QNet was also a distributor during the 2004 Olympics in Athens and the 2008 Olympics in Beijing. It goes without saying that sponsoring such high-profile, not to mention global, athletic events does wonders for the brand recognition of a company, and that was certainly the case with QNet. The company has gone on to sponsor a Malaysian motor racing team, a Formula-1 racing team, the Asian Football Confederation, and Manchester City, one of the largest football clubs in Europe. Again, these partnerships have done wonders for QNet’s brand recognition and helped to make it a global company with a footprint well beyond Asia. QNet also offers customers an intriguing product line that has expanded and changed throughout the company’s history, showcasing the company’s ability to evolve and change with the times. Part of QNet’s product expansion is related to its ability to acquire smaller companies, adopting part of their product lines, which speaks to QNet’s ability to grow and create new opportunities for itself and its distributors. QNet has certainly experienced a lot of growth and success throughout its history, but its past is also littered with serious issues. For starters, the company has been banned from operating in several countries. In 2003, QNet was banned from Nepal under allegations of fraud. In 2005, it was banned from Sri Lanka after being accused of causing millions of dollars to leave the country. Iran also banned the company from operating in 2005 after officials found evidence that it cost the country a billion dollars. Sudan also banned the company in 2009 due to poor product quality. In 2010, Saudi Arabia became the latest country to send QNet into exile after accusing the company of theft and fraud. It’s not uncommon for MLM companies to get into a little bit of trouble, but being banished from a handful of countries is a feat few companies in any industry have been able to reach, which is obviously a huge red flag. These banishments have gone hand-in-hand with accusations from a number of sources that QNet runs a pyramid scheme (see: Wealthy Affiliate). Even countries that have not banned QNet from operating within its borders like India, Indonesia, and Egypt have accused the company of running a pyramid scheme. QNet has done its best to sidestep these accusations, but they have been too widespread to ignore. It’s not just national governments that seem to have a problem with QNet, as a majority of the online reviews of the company paint an ugly picture. A multitude of message boards and online reviews, which granted should always be taken with a grain of salt, paint QNet in the worst light possible, with some of the stories being downright horrifying. There are a fair amount of positive reviews, but many of them give off the impression of being fraudulently manufactured by the company itself. Many read like someone following an outline with certain phrases to use and bullet points to mention. Even if they are legitimate and honest reviews of the company, there aren’t enough to drown out the large volume of bad reviews. It’s somewhat befuddling how QNet has managed to both stay in business for so many years and score such high-profile sponsorships considering the exorbitant amount of issues the company has had to deal with throughout its history. The banishment from a handful of countries and countless accusations of orchestrating a pyramid scheme are overwhelmingly negative from a public relations standpoint. The company has done well to create an intriguing line of products and establish global brand recognition, but those appear to be a façade hiding a dark side. All things considered, QNet is a company to avoid like the plague. There are not nearly enough positives about QNet to outweigh all of the negatives, and forming a partnership with the company carries far too much risk for any reasonable person. QNet sells a variety of products including energy, weight management, nutrition, personal care, home care, and fashion accessories.